Square-Enix didn't plan to keep Final Fantasy XIV off the Xbox 360, but problems with Xbox Live's "closed" nature ultimately led to this decision. 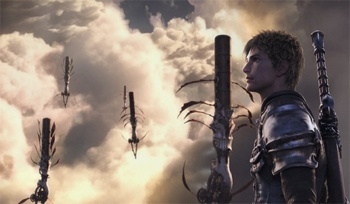 Final Fantasy XIV is going to be a bit different from Square-Enix's last MMOG because it's going to be exclusive to PCs and PS3s. This has raised a few eyebrows in the videogame industry, seeing as how Final Fantasy XI was one of the few Xbox 360-friendly MMOGs. However, Square-Enix has explained that it wanted to release the upcoming game for Microsoft's console, but decided against it because of the "closed" nature of Xbox Live. Speaking to Eurogamer at E3, Final Fantasy XIV's director Hiromichi Tanaka explained that Square-Enix chose to forego an Xbox 360 version of the game because of problems encountered with Xbox Live. "The main reason why we couldn't go with Xbox 360 was the Xbox Live system," he stated. "[Live is] different to the normal internet environment, so when we wanted to introduce this game in the same environment as Windows PC it had to be PS3, so that was our choice. "Microsoft has a different point of view: they want to have a closed environment for Xbox Live. We're still talking to ... We couldn't come to an agreement on Xbox Live." Yoichi Wada, president and CEO of Square-Enix, confirmed this stance when he spoke to Eurogamer's sister site, GamesIndustry.biz. Wada stated he would like to see Microsoft implement a network for third-party developers that would allow them to "freely design different business schemes." This isn't the first time Microsoft has lost out on a major MMOG for its console. Champions Online was originally set to launch for both PCs and 360s, but the console build was delayed numerous times before it was confirmed as canceled by Cryptic Studios. "Microsoft's a big company, and they have to work out all the various issues related to MMOs," Cryptic's COO Jack Emmert said when he was asked about the situation a few months ago. "It just takes time for the big beast known as Microsoft to get moving. I really have no explanation other than that, because it's as baffling to developers as it is to everyone else." MMOGs are big business, and one would think that Microsoft would want to get in on that action as much as posible. Perhaps Microsoft should rethink the way Xbox Live works, seeing as how its inflexibility lost it something as potentially profitable as Final Fantasy XIV.